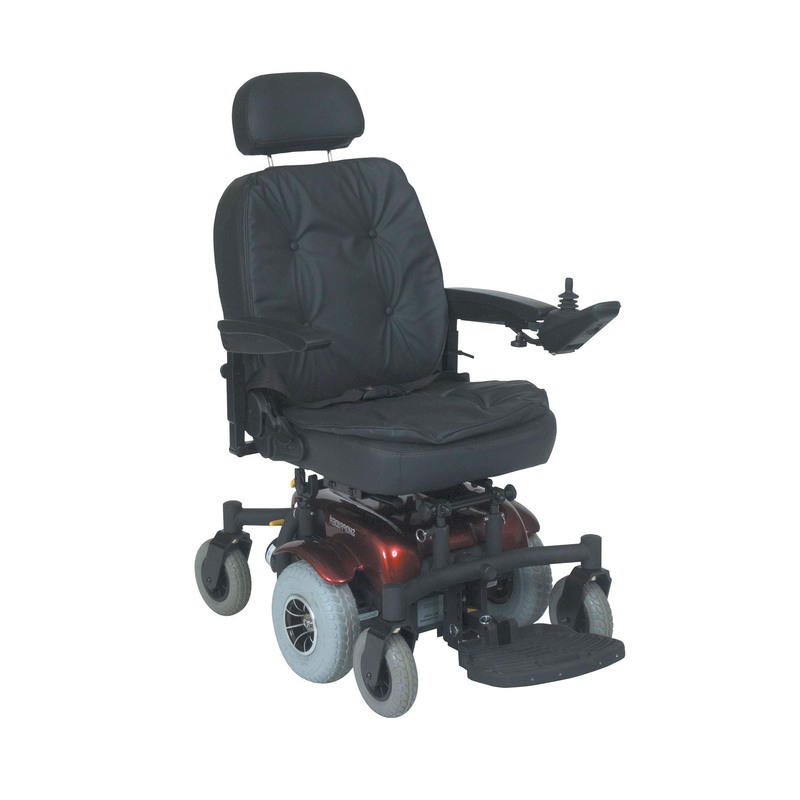 The Roma Malaga is a mid-range powerchair with a capacity of 18 stone (115 kgs). It has a button padded Captain's seat with adjustable headrest, backrest, and seat base. Price excluding VAT.(Incl. VAT £2,878.80) *VAT Relief available on this product. The Roma Medical Malaga has been built with adjustability at the forefront of its design. It can be broken down into sections, so you can store it away or transport in a vehicle. A two-motor mid-wheel drive system enables you to turn 360 degrees within its own footprint. This turning capability is useful to navigate narrow hallways or public places with ease. The padded captain’s seat gives you the opportunity to sit back, relax, and enjoy each journey. It’s also fully adjustable so that you can always find the optimum driving position; the handy lift-up armrests make side transfer much easier too. Articulating front and rear axles ensure that optimum comfort and stability is felt when riding this powerchair. Thanks to the extendable VSI control unit the Malaga can be set up for left or right-handed use. A seat belt has been included so that you feel secure when driving, and the puncture proof tyres will give extra peace of mind on longer journeys. The Roma Malaga has a maximum user weight of up to 18 stone (115 kg), top speed of 4mph, and a travel distance of up to 16 miles. If you’re interested in the Malaga or any other of our powerchair range, please call us on 02392 255600. Alternatively, pop into one of our showrooms in Waterlooville or Torquay.